Everyone older then 6 months needs to get the flu shot every year. Seasonal flu treatments are the best way to protect yourself and others from the flu. For most people the seasonal flu is a mild illness. Sometimes however the flu can be serious if not deadly. Flu vaccines can help lessen the effects of the sickness or even prevent the flu all together. It spreads easily from person to person. You can get the flu vaccine as a shot or as a nasal spray. When you get the flu vaccine you help protect yourself and the ones around you. Flu vaccines are offered in many locations. 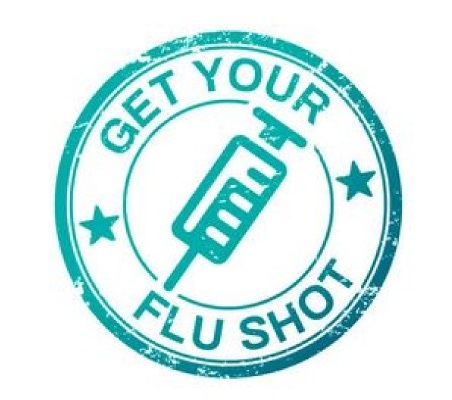 You can get a flu vaccine at your doctor’s office, health clinic, pharmacy, or the health department. Some employers may also offer flu vaccines. The flu is caused by viruses that infect your nose, throat, and lungs. It’s easily spread from person to person when someone with the flu coughs, sneezes, or talks. It’s also possible to get the flu by touching a surface or object that has flu virus on it and then touching your mouth, nose, or eyes. Some may also cause vomiting and diarrhea. This is more common in children than adults. If you get sick with the flu, your doctor may prescribe antiviral medications. Medications can help you feel less sick and shorten the time to full recovery. They can also help prevent flu complications. If you are at high risk for complications from the flu and you get flu symptoms, it’s important to ask your doctor about Medications right away. They work best if you start taking them in the first 2 days after you get sick. But they may still help if you take them later on, especially if you are very sick. Stay away from those who are sick. Wash your hands often with soap and warm water. If soap and water aren’t available, use hand sanitizer. Try not touching your nose, mouth, or eyes..
Clean surfaces and objects that may have flu germs on them, like doorknobs. If you have the flu, stay home for at least 24 hours after your fever is gone.